Scottsdale, Arizona is easily named among the top destinations to visit in the west and a place that many snowbirds flock to looking for sunshine and spectacular surroundings. It’s even been compared to Miami’s South Beach by some when they consider and weigh the sunshine and the cultural amenities that the city offers. The city is noted for its lavish and posh travel and leisure spots. There’s upscale spas, numerous hiking trail, championship golf, shopping at high end shops and art. What more would you want to place in this gorgeous locale? Scottsdale Arizona is located in the Sonoran Desert, which provides gorgeous scenery that you’ll want to get outdoors and enjoy. When you have the freedom of traveling across the country, you head to the top destinations in the states. Scottsdale is a top place you’ll want to head to this winter. Rving offers a unique lifestyle and there are plenty of great places to roam and explore in Scottsdale. 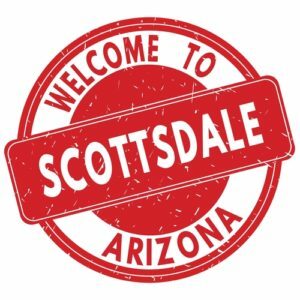 A few of the top attractions in Scottsdale are: McDowell Sonoran Preserve, TPC Scottsdale Golf Course (home of the PGA Tour’s Phoenix Open), Taliesin West Studio (Frank Llyord Wright’s home in the desert), and the Scottsdale Museum of Contemporary Art. We hope to hear that you plan to travel to Scottsdale this season! Fix My RV offers RV repair services in the areas of Scottsdale, Phoenix, Peoria, and Albuquerque. We carry out routine RV maintenance inspections AND are available for emergency Mobile RV parts and repair. We can deliver to you!